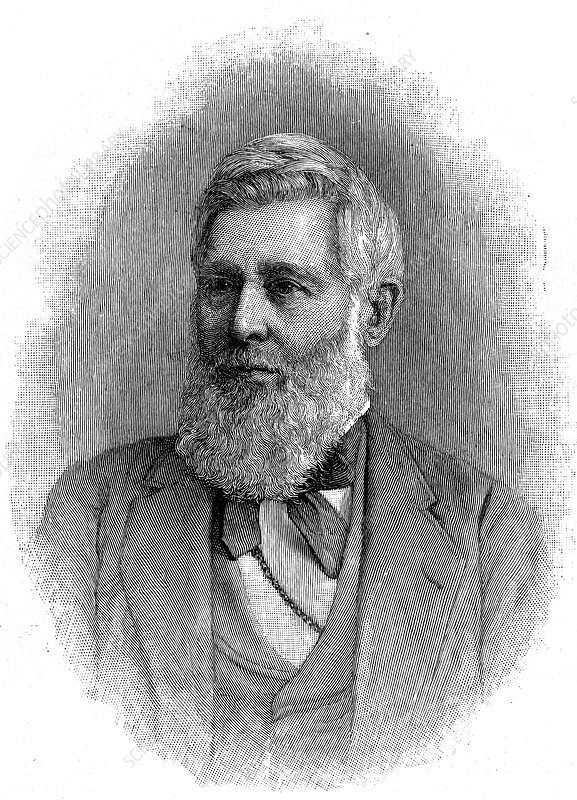 Asa Gray, American botanist, 1888. Specialist on Japanese flora and friend of Darwin. Natural Selection as force in evolution but, as devout Protestant, could not accept it was only cause. Lithograph.